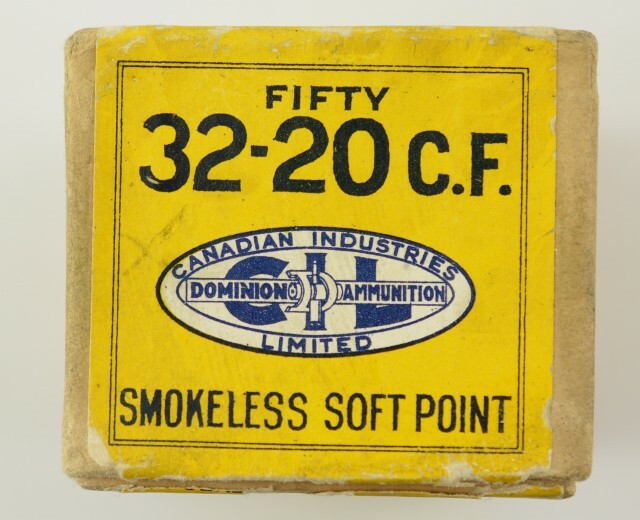 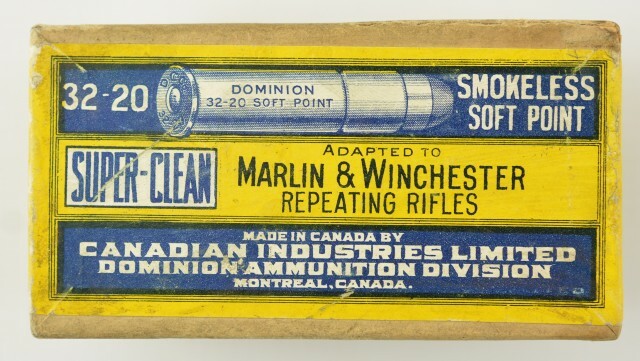 Description: 1934 dated box of Cil/Dominon 32-20 cartridges. 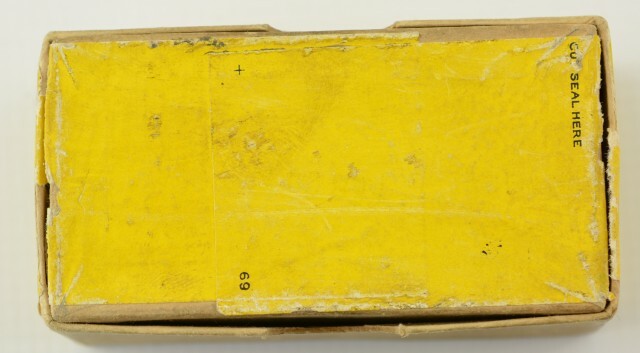 VG plus 2 piece box ink dated. This was a box that came from the old CIL reference collection. 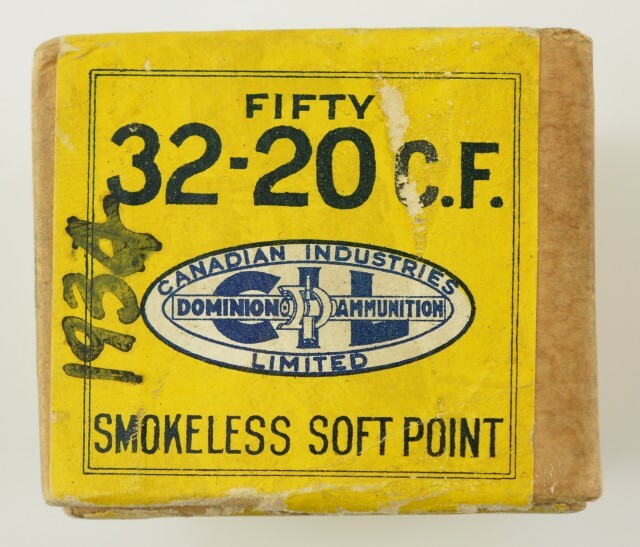 Following the closure of the Quebec facilities in the 1990's. 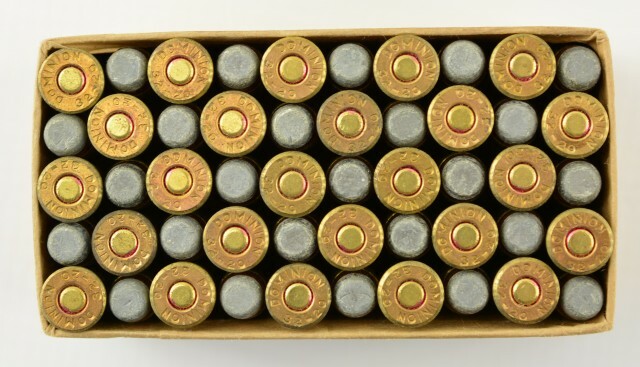 Excellent rounds. Box shows good color and graphics.